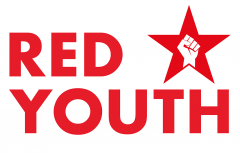 The following letter to our blog was written by a young comrade from the Midlands who recently left the YCL to join Red Youth. His reflections are those born from the frustrations of working in a party castrated by revisionism. We will stress now, before you read his observations, that Red Youth certainly doesn’t have all the answers and we’re up against it trying to build a revolutionary youth organisation in a country where no revolutionary mood prevails amongst the masses, for the time being. These are the same objective conditions which both the YCL and CPB have to contend with. Our strength (and their weakness) lies in our correct analysis of these conditions; a thorough and rigorous critique of social democracy, its root causes and it’s influence on the British labour movement. We are pleased with the enthusiasm with which this comrade joins us in our work, but we must emphasise that ours is a long, arduous struggle which requires much patience as well as persistence. 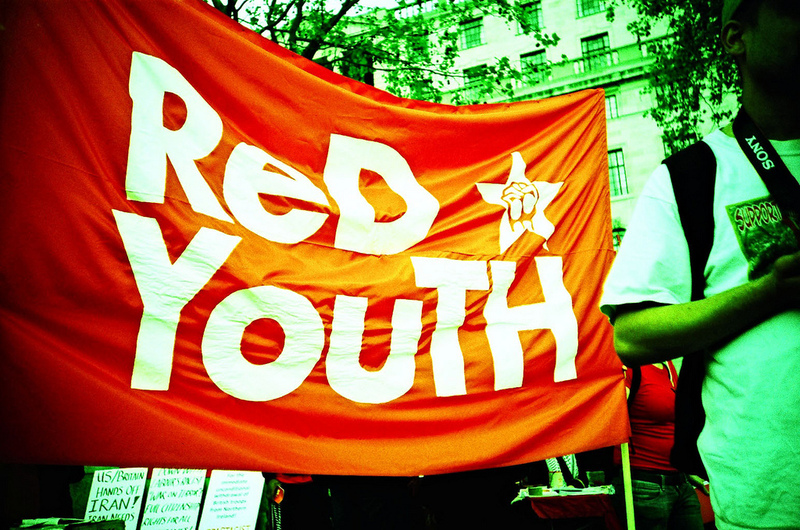 For this reason it is absolutely critical that Red Youth comrades make every effort to study Marxist-Leninist theory, to develop their political understanding and be able to take part in the work to build up the revolutionary class conscious. That struggle is a marathon, there are no quick fixes, easy avenues or cheats. Its long, hard struggle, and we welcome all those who are prepared to make that journey. “Almost nine months ago, I joined the Communist Party of Britain in Shropshire – three weeks ago I left for the Communist Party of Great Britain (Marxist-Leninist). I’d describe my former self as the kind of communist that clung to the insole of the labour party. But why did I change my mind? What went ‘wrong’ along the way? Keen to serve a movement I was then happy and honoured to be a part of, enthused to draft new ways to create a big communist student movement in my local area; I was elevated quickly. First, to Young Communist League organiser for Shropshire, then the West Midlands, then the whole Midlands – all this over the course of 3 months, partly because I was the only YCL secretary in the Midlands. It was this elevation, that made me realise how useless and inactive the party was. Later, the real CPB would be revealed to me as the badly organised, anti-youth, anti-DPRK, anti-communist organisation it is. This was in September 2013. In February, almost five months later (and a month and a half before I joined CPGB-ML), I was still waiting for support in terms of literature, party education materials, help to find a meeting place. Until December I was still expecting this fictitious support. But it was my promotion to Midlands district officer that was the real turning point for me. I was charged with creating the Midlands district of the YCL, organising a regional movement of youth in their late teens and early 20s for the mobilisation of Marxism-Leninism within the labour movement. This is a big task to give an enthusiastic 16 year old campaigner – nevertheless, as I put it at the time to queries of “was I sure”, I was well up for it. I knew that we only had 175 active and non-active members in the whole of the Midlands, so I was trying to be realistic, not stretching too far to branches that may lack any bulk in membership under 30. The plan was to get together three people (aged between 11 and 29 as is within the party rulings regarding age), in each the Birmingham, Wolverhampton and Shropshire branches together, and encourage them to have bi-monthly branch meetings and a monthly study group. If this proved successful over a year we would collectivise everyone within the age bracket across the Midlands and hold a YCL district launch in Birmingham. Another part of the planned strategy was to leaflet colleges in order to create education branches. Things were looking good at first – we had in the Shropshire branch 3 eligible YCL members. In Birmingham we had one young contact who was caught up in border disputes with other branches and consequently not doing anything, and someone who was nearly 25 – this was fine at first. In Wolverhampton there was nothing: not only was I to find at the 15th February district congress that they were one of the most inactive branches as part of our deflated Black Country initiative, but I found out a week before hand they had no members under 30. Four months before that fateful meeting, I received a 15 year old contact in Nottingham. I thought this was excellent at the time, I thought if he could work with the largely mature Nottingham branch on youth for me I could then focus more on the further West Midlands stuff. However, I was to find that due to disorganisation this was apparently impossible. I found that the Nottingham branch, another gem of inactivity, was made up of two men in their 60s and one in their 50s, who were all apparently “to afraid to talk to him” and that the only one in four months who had made any effort to contact him other than a couple of times electronically was me. And then they had the gall to ask me to help build the YCL in Wales from Shropshire. I was furious with the total lack of anything, but particularly after this erroneous request. I was just about ready to explode because of all this – but then there were the ideological holes to boot. My ideological suspicions began around December but they had nothing to do with the labour party at first. It started with the pro-capitalist coverage of the DPRK. Nothing in the Morning Star is ever really pro-capitalist no matter how wrong or counter-revolutionary, but this really was. It quoted UN statistics without checking the sources and alleged that the north ‘wasn’t socialism’ and highly ‘undemocratic’. It even contradicted their position on the country in Britain’s Road to Socialism, going far enough to publish headlines like “UN pledges to bring North Korean leaders to justice”. I thought in Britain’s Road to Socialism our message on the DPRK was quite clear, that we supported its ‘right to popular sovereignty’, that we supported it against American imperialism! When I was approached over twitter about the contradiction between my open support for the DPRK and the Morning Star’s stance, I explained that the Morning Star was the paper of the movement. As such it couldn’t marginalise itself down to pure communist viewpoints and had to please a great deal of it’s bulked readership; including CND, Stop the War and the TUC. For a CPB member this was an adequate, well thought-out answer, but I was to find out that even this was wrong. I e-mailed Zoe Hennessy, the YCL’s general secretary; I felt that the recent anti-DPRK bombardment in all media left or right wing was demoralising our member’s in their support for the country (particularly our young members), so I offered to write an article in support of it to put people’s minds at rest. It was the reply that was to enrage me almost as much as the organisational problems I had encountered: The Communist Party of Britain dose not endorse the DPRK. It never has done and it never will. Apparently the Morning Star is the embodiment of the CPB’s collective views on North Korea and many other things which I thought was merely content added for “the movement”. Incidentally the paper also refused to publish anything celebrating the birthday of comrade Stalin, utterly spitting in the eye of one of the greatest contributors to Marxist theory aside from Engels or Lenin. So what did I decide to do next? Well I saw a rather impressive group of communists in late September at the Tory party conference demo, who seemed to sidle up to the communist party red block, and chant with us. The two groups looked fabulous together, 60 or 70 red flags were made 90 or more in a block. I saw they had a paper called Proletarian. I wanted work experience in political journalism – so I contacted the editor’s e-mail. I secured a meeting at the office of the Communist Party of Great Britain (Marxist-Leninist) in Birmingham. I wasn’t wooed at first by their opposition to the people’s assembly or the Labour Party in any measure, as things were still working for me at the point I had this meeting in October, but I saw something in them then that brought me back, and made them indelibly my new and fine comrades, people who I am proud to stand shoulder-to-shoulder with. From about the February 15th district meeting, when I began to see just how pointless it was, I started looking for a new party either similar to my own thoughts or robust enough to accept my robust opinions. I trawled through things like the Socialist Labour Party, the Socialist Party of Great Britain, the Revolutionary Communist Party of Britain (Marxist-Leninist) and the Marxist Student Federation – all of these organisations to me either appeared totally revisionist or ineffective in political strategy to the point of laughability. It was then I realised the Communist Party of Great Britain (Marxist-Leninist) was the only effective left party in Britain; the only one still growing and equipped with practical, applicable campaigning methods for the 21st century. A party that stood for all the right things – defending the democratic legitimacy of Zimbabwe and it’s legitimate popular leader Robert Mugabe, telling the truth about the Democratic People’s Republic of Korea, true anti-imperialism; rather than just what seems to be more acceptable to public opinion. They don’t allow their ideological strength to make them dogmatic. Under the CPB I was given no equipment, no literature and no support. I join the CPGB-ML and almost immediately I’m given seven newspapers, a wad of our youth programme and a wad of leaflets. I am also sold books at £2 a throw – unlike the ones the CPB sold at their district committees for between £5-£20, which were all far out of my price range on top of train fairs. I have a permanent link to my nearest branch organiser, I’m told if there’s anything I need in terms of equipment or help it’s mine providing I’ve got a good reason, we’ve already got Shropshire based members and supporters around too – so we’re all set. Coupled with this we have a stunning two-part programme, including the mind blowing Red Youth programme “we want freedom” – which envisions a diplomatically non-volatile Great Britain, universally free education and the deployment of capital allocated to youth by youth and for youth. That’s a revolutionary youth programme, not BRS’s “lowering the voting age to 16 would be reflective of how some people think but let’s make everything else up along the way while also making nothing up and doing nothing”. I can see the ship sinking for the “Communist Party” already. CPB membership isn’t just under 1,000 as it claims – it’s 700. They did an internal survey recently that said 200 of their members had either died or gone missing. 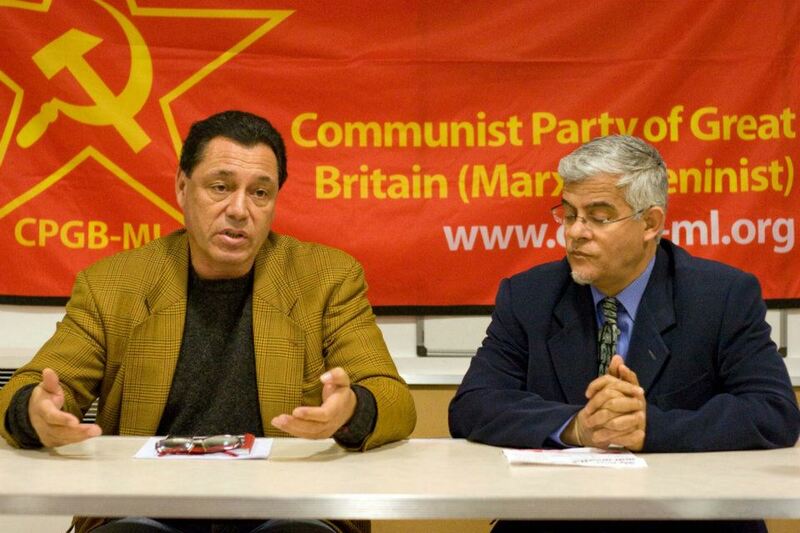 The CPGB-ML in Birmingham alone gets several requests for membership a month. The CPB’s complete refusal of self criticism, unwillingness to reform outdated party structures, the anti-youth mentality all leads one way – decay. The CPB is dying. Every general election it loses members on the same programme, every time labour or whoever else they support are elected they fail to do anything of meaning. My old party only misleads a few students here and there (most notably in the North West where they’ve recruited about 20ish white university students) – but it’s propaganda and negation on the radical student movement reaches far further than even it knows. For instance everything it says about almost everything apart from capitalism as a system and the British bourgeoisie back up the imperialist argument unwittingly. A British democrat, and I’ve met a few, may say that you have to vote your way out of trouble, that if you don’t like a government you have to vote for the opposition to oust them, namely; the Labour Party. According to British social democracy this is the only way to achieve change. The CPB will say that you have to vote labour to get the Tories or the Lib-Dems out and you can’t have a revolution because a) it will “alienate” people and b) we live in a western “democracy”. So revolution is an absolute last resort and therefore not appropriate or possible unless people all over the country starve on the streets and worker’s have lost all their gains. Another inch of liberty is in the process of being clawed away. It seems the Oligarchs are securing their position for the long haul, and it is a long haul, as shown by the Tories proposed cuts for the next term they are confident of winning. They plan to implement deeper cuts to the benefits of the most vulnerable in society, when they are at their most vulnerable and sinking deeper and deeper into despair, destitution and poverty. And to safeguard this utopia of the bourgeoisie they are introducing laws with ever more vague parameters to criminalize the malcontents who will inevitably rise up against such oppression, because to paraphrase Karl Marx, the bourgeoisie creates its own gravediggers. Until the late 19th century much of our city space was owned by private landlords. Squares were gated, streets were controlled by turnpikes. The great unwashed, many of whom had been expelled from the countryside by acts of enclosure, were also excluded from desirable parts of town. Social reformers and democratic movements tore down the barriers, and public space became a right, not a privilege. But social exclusion follows inequality as night follows day, and now, with little public debate, our city centres are again being privatised or semi-privatised. They are being turned by the companies that run them into soulless, cheerless, pasteurised piazzas, in which plastic policemen harry anyone loitering without intent to shop. Street life in these places is reduced to a trance-world of consumerism, of conformity and atomisation in which nothing unpredictable or disconcerting happens, a world made safe for selling mountains of pointless junk to tranquillised shoppers. Spontaneous gatherings of any other kind – unruly, exuberant, open-ended, oppositional – are banned. Young, homeless and eccentric people are, in the eyes of those upholding this dead-eyed, sanitised version of public order, guilty until proven innocent. Now this dreary ethos is creeping into places that are not, ostensibly, owned or controlled by corporations. It is enforced less by gates and barriers (though plenty of these are reappearing) than by legal instruments, used to exclude or control the ever widening class of undesirables. The existing rules are bad enough. Introduced by the 1998 Crime and Disorder Act, antisocial behaviour orders (asbos) have criminalised an apparently endless range of activities, subjecting thousands – mostly young and poor – to bespoke laws. They have been used to enforce a kind of caste prohibition: personalised rules which prevent the untouchables from intruding into the lives of others. You get an asbo for behaving in a manner deemed by a magistrate as likely to cause harassment, alarm or distress to other people. Under this injunction, the proscribed behaviour becomes a criminal offence. Asbos have been granted which forbid the carrying of condoms by a prostitute, homeless alcoholics from possessing alcohol in a public place, a soup kitchen from giving food to the poor, a young man from walking down any road other than his own, children from playing football in the street. They were used to ban peaceful protests against the Olympic clearances. Inevitably, more than half the people subject to asbos break them. As Liberty says, these injunctions “set the young, vulnerable or mentally ill up to fail”, and fast-track them into the criminal justice system. They allow the courts to imprison people for offences which are not otherwise imprisonable. One homeless young man was sentenced to five years in jail for begging: an offence for which no custodial sentence exists. Asbos permit the police and courts to create their own laws and their own penal codes. All this is about to get much worse. On Wednesday the Antisocial Behaviour, Crime and Policing Bill reaches its report stage (close to the end of the process) in the House of Lords. It is remarkable how little fuss has been made about it, and how little we know of what is about to hit us. The bill would permit injunctions against anyone of 10 or older who “has engaged or threatens to engage in conduct capable of causing nuisance or annoyance to any person”. It would replace asbos with ipnas (injunctions to prevent nuisance and annoyance), which would not only forbid certain forms of behaviour, but also force the recipient to discharge positive obligations. In other words, they can impose a kind of community service order on people who have committed no crime, which could, the law proposes, remain in force for the rest of their lives. The bill also introduces public space protection orders, which can prevent either everybody or particular kinds of people from doing certain things in certain places. It creates new dispersal powers, which can be used by the police to exclude people from an area (there is no size limit), whether or not they have done anything wrong. While, as a result of a successful legal challenge, asbos can be granted only if a court is satisfied beyond reasonable doubt that antisocial behaviour took place, ipnas can be granted on the balance of probabilities. Breaching them will not be classed as a criminal offence, but can still carry a custodial sentence: without committing a crime, you can be imprisoned for up to two years. Children, who cannot currently be detained for contempt of court, will be subject to an inspiring new range of punishments for breaking an ipna, including three months in a young offenders’ centre. Lord Macdonald, formerly the director of public prosecutions, points out that “it is difficult to imagine a broader concept than causing ‘nuisance’ or ‘annoyance'”. The phrase is apt to catch a vast range of everyday behaviours to an extent that may have serious implications for the rule of law”. Protesters, buskers, preachers: all, he argues, could end up with ipnas. The new injunctions and the new dispersal orders create a system in which the authorities can prevent anyone from doing more or less anything. But they won’t be deployed against anyone. Advertisers, who cause plenty of nuisance and annoyance, have nothing to fear; nor do opera lovers hogging the pavements of Covent Garden. 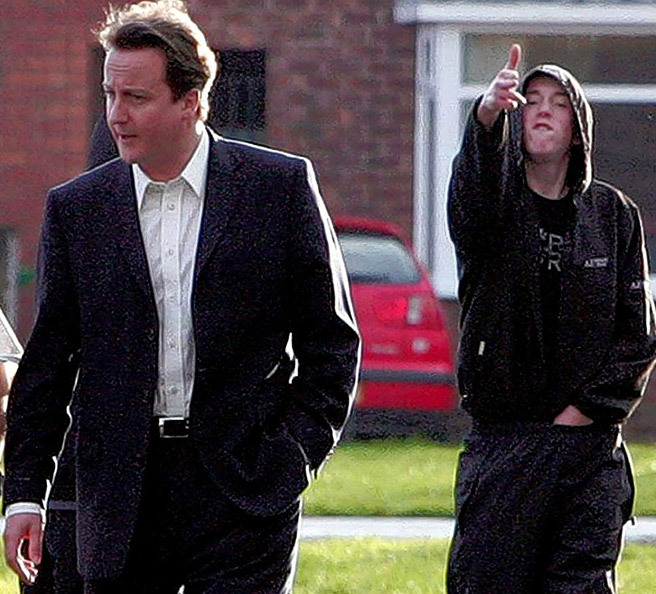 Annoyance and nuisance are what young people cause; they are inflicted by oddballs, the underclass, those who dispute the claims of power. These laws will be used to stamp out plurality and difference, to douse the exuberance of youth, to pursue children for the crime of being young and together in a public place, to help turn this nation into a money-making monoculture, controlled, homogenised, lifeless, strifeless and bland. For a government which represents the old and the rich, that must sound like paradise. After three excellent talks in Bristol, Birmingham and Leeds, comrade Kadalie will speak in London this Saturday on his life struggle in the anti-apartheid struggle, his hopes and vision for Africa in the 21st century. Khwezi Kadalie was a fighter in the anti-Apartheid struggle in South Africa and is a lifelong communist and marxist-leninist revolutionary. His grandfather organised the first all-black trade union in South Africa (the Commercial and Industrial Workers Union of Africa). A qualified typesetter and printer, Khwesi was arrested by the Apartheid secret police shortly after the 1976 Soweto uprising. He was tortured for four months. After prison, Khwezi worked for the ANC in the diplomatic service and the information department in Germany and Britain. After the unbanning of the ANC and other organisations he served the movement in different capacities and between 2000 and 2005 he worked in the Department of Trade and Industry in a senior position. Since 2006, together with other comrades, he has built the Marxist Workers School in South Africa. Today he works as a journalist for communist and working-class newspapers and magazines around the world. Khwezi’s talk will touch on the important lessons he draws from his time in the movement and his feelings about the present fight against the recolonisation of Africa. US and European interference in African affairs assuredly did not begin with the assassination of Libya, but that crime marks the onset of a renewed and most desperate effort to turn the clock back to the days of the most brazen colonialist meddling. With imperialism convulsed with crisis and hurtling towards new and ever more dangerous wars of aggression, the work of reuniting and reinvigorating the entire international communist movement on a principled and revolutionary basis is one which will brook no further delay. The violent overthrow of Ivory Coast’s government by French imperialism, in cahoots with northern rebel militia and with the hypocritical blessing of the UN, signals not the end but the beginning of yet another round of cruel civil strife inflicted on the Ivorian people by imperialism. The struggle against Apartheid was an important step along the road to emancipation for South Africa’s poor majority, but this does not mean that all those who fought against Apartheid want to carry on to a socialist revolution. Black skin does not, any more than white skin, come with a guarantee of common sense, social conscience or saintliness attached. More than 100 militia brigades from Misrata have been operating outside of any official military and civilian command since Tripoli fell in August. Members of these militias have engaged in torture, pursued suspected enemies far and wide, detained them and shot them in detention. They have stated that the entire displaced population of one town, Tawergha, who are largely descendants of African slaves, cannot return home. The US and European monopoly capitalists are shedding crocodile tears over the havoc they have wrought in their latest scramble for Africa, but the African people will find that charity is no substitute for revolutionary struggle to attain true independence and freedom. The 11th of March 2008 will go down in the history of our country as the day of national shame. It is the day a pogrom against foreign workers started in Alexandra and then spread from township to township, squatter camp to squatter camp, and from one town to the next. Comrade Mohammad Hassan of the PTB (Belgian Workers’ Party) delivers a powerful speech condemning the puppet regime of Ethiopia for selling his country to imperialism, and engineering a famine with its pro-imperialist policy and at the behest of US/British imperialism. Comrade Ella Rule explains that although enough food is produced globally to make every person on the planet FAT, the inequality of distribution built into capitalism means that vast amounts are wasted, millions are overfed and obese in the West, while hundreds of millions starve in the rest of the world. These problems can be fixed, but not by capitalism. Comrade Kojo Gotfreid, former Ghanian liberation fighter and ambassador to China, recounts meeting Mao and the inspiration drawn by African anti-colonial liberation fighters from China’s successful liberation struggle and building of a bright new socialist future. Comrade Teodora Ignacia Gomez of the PAIGC, the party that liberated Guinea Bissau and Cape Verde, outlines the supportive relationship that Colonel Gaddafi’s Libya had fostered both with her country and other African nations. Libya had tried to bring about sustainable infrastructural and agricultural development in Guinea Bissau, she tells us, both through the African Bank and through independently granted aid. In the 42 years of his leadership, the Libyan people rose from being literally the poorest on earth, to the wealthiest and most egalitarian in Africa. Contrary to the vile assertions of the western media, Colonel Gaddafi faced his executioners, vile mercenaries and unthinking tools of Nato imperialism, as the proud defender of independent and free Libya. He died a hero’s death in battle, facing his enemies with steely resolve, and refusing to desert his post, his country or his people at their hour of greatest need. Anastancia Ndhlovu, Zimbabwe’s youngest MP, speaks to a British correspondent about Zimbabwe at the 17th World Festival of Youth and Students in Pretoria, South Africa. She addresses many issues including Robert Mugabe’s ongoing leadership, the MDC’s role in coalition government, British and US sanctions and Chinese economic involvement in the country. Africa: black nationalism, capitalism or socialism? Comrade Ajamu of the A-APRP talks about his ideological development from black nationalism to socialism, and discusses, in particular, the experience of the African national liberation struggles. With reference to the experiences of Ghana, Nkhrumah, Sekou Toure, and others, he underlines the lesson that capitalism has failed Africa.